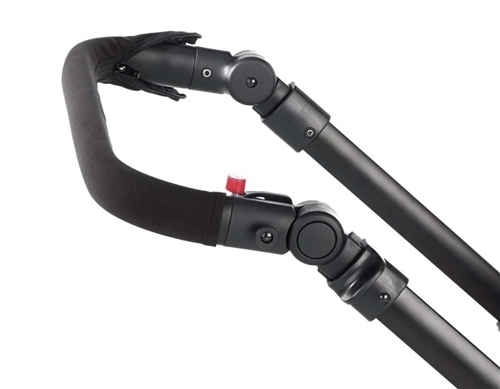 Universal and adjustable to fit the Jane Muum, Epic, Crosswalk, Rider, Trider on Twone pushchairs thanks to the hardwearing elastic fabric and the zip that closes the cover fully. The zip will be hidden on the inside of the handlebar. What length and diameter is it? Jane UK Replies: Good afternoon It is 60cm long and has a diameter of 5cm when closed. The Rider/Trider and Muum all have a handle of 10.5cm when a tape measure is wrapped around it. It is made of a lycra type material so can stretch a-little to make it taught. Hope this helps.